The recent 2017 Genitourinary Cancers Symposium in Orlando questioned whether the recommendations from the 2012 US Preventative Services Task Force (USPSTF) in regards to PSA screenings could have a negative impact for black men who already have higher rates of prostate cancer-related mortality and a later stage of prostate cancer diagnosis. The 2012 replaced the 2008 recommendation which had recommended against PSA-based screening for prostate cancer in men aged 75 or older and concluded that the evidence was insufficient to make a recommendation for younger men. Now the USPSTF recommends against PSA-based screening for prostate cancer in all age groups. Researchers from the Harvard Radiation Oncology Program in Boston compared the risks of prostate cancer metastasis and mortality by black and non-black race. The goal was to find out the outcomes for men before the USPSTF recommendations were made. In order to do this they used the Surveillance, Epidemiology, and End Results (SEER) database and looked at outcomes for 390,259 men diagnosed with prostate cancer between 2004 to 2011. 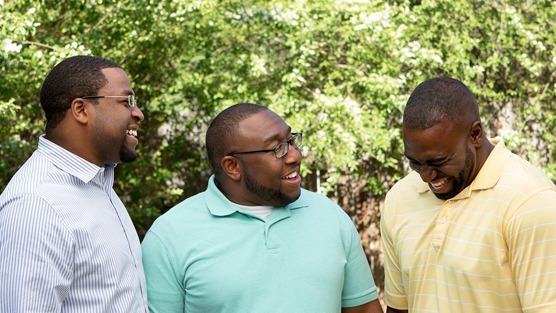 Results showed black men were 65% more likely to be diagnosed with metastatic prostate cancer than non-black men with their risk of dying from the disease to be 36% higher. Another finding from this research was that there were significant interactions between race and PSA screening eligibility. Black men ages 55 to 69, who met the age criteria for PSA screening, had higher risk (76% vs 55%) and prostate cancer mortality (53% vs 25%) than ineligible patients. This finding led researchers to speculate that black men of screening age could be disproportionately and negatively impacted by the 2012 recommendations to end PSA screening.